Mariana is a junior at Northwestern University, where she is the managing editor at the student newspaper, The Daily Northwestern. She was a fellow at The Texas Tribune, where she covered Austin politics. 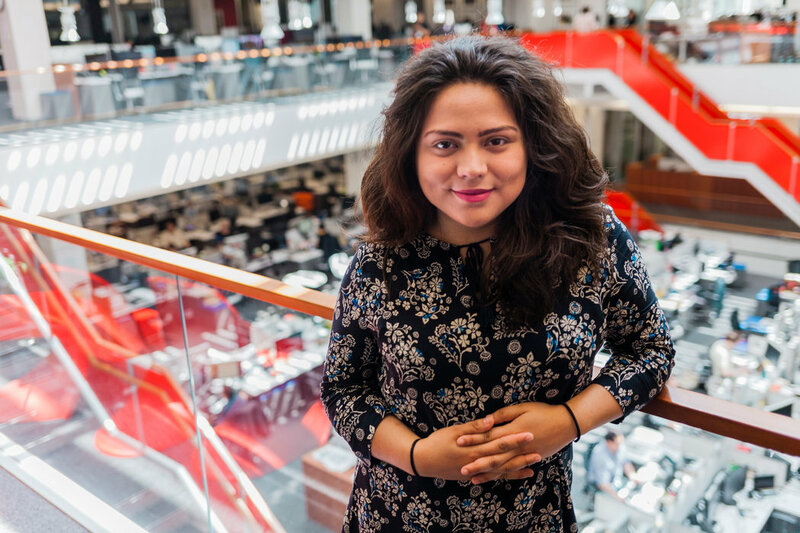 She also held an investigative reporting internship at La Prensa Gráfica, a newspaper in her native El Salvador. This summer, she will intern at The Wall Street Journal. She is the president of Northwestern’s chapter of the National Association of Hispanic Journalists. Poco después de ser elegida Senadora estatal Nueva York del Distrito 31, Marisol Alcantara se unió a la Conferencia Demócrata Independiente. Pero la senadora no se enfoca en los críticos, diciendo que su principal preocupación es representar a los latinos en el Senado. A medida que la demografía de Washington Heights ha cambiado y los alquileres de comercio han aumentado, los propietarios de bodegas están ajustando a las nuevas demandas sus clientes. Soon after being elected to the New York Senate from District 31, Marisol Alcantara joined the Independent Democratic Conference, a group of breakaway Democrats whose presence in Albany gives Republicans the majority power. The senator remains unbothered by critics.